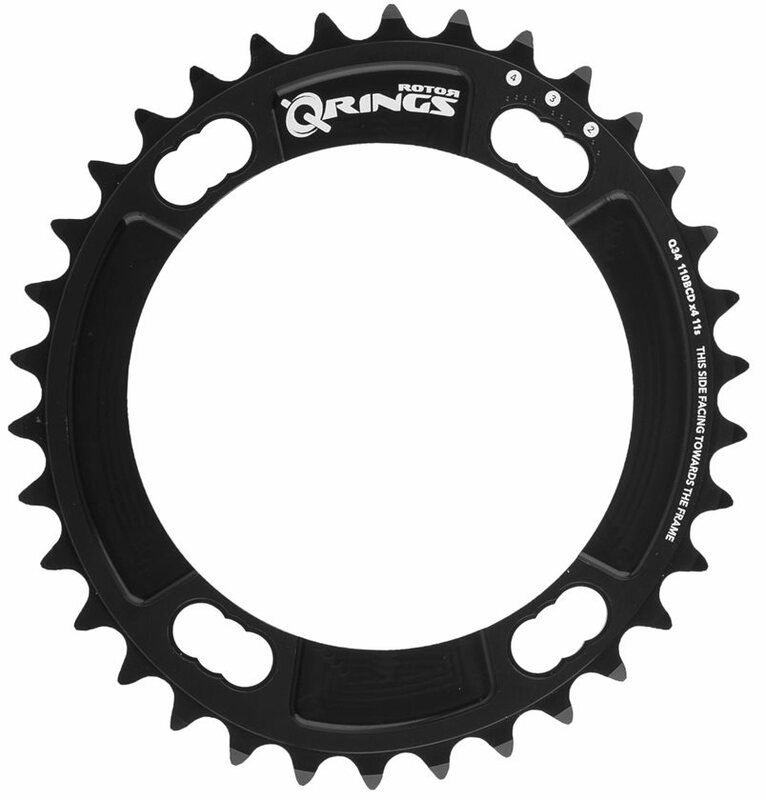 Whether it was a pro rider on TV or a fellow local cyclist, you may have seen these ovalized chainrings at one time or another. You then probably immediately asked yourself, "What does it do?" Let us explain. Rotor Q-Rings vary drivetrain resistance during a pedal rotation to align with your leg's natural strength spots and weak spots to boost your overall efficiency. 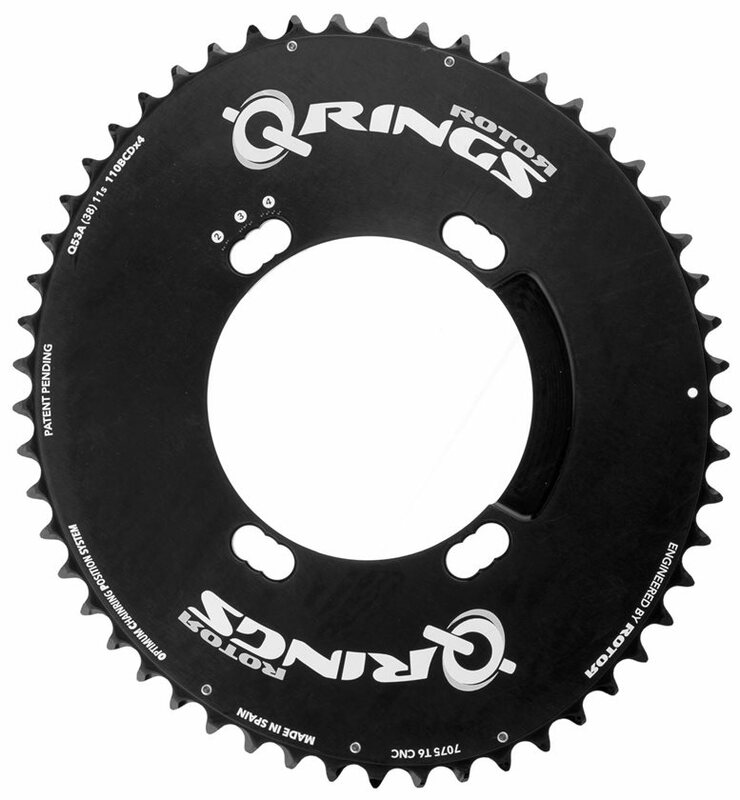 In doing so, Q rings wisely utilize the strongest muscle groups to increase positive work, while picking up the slack in the weaker zones to reduce the negative work, potentially increasing a competitive cyclist's performance by as much as 4 seconds per km in an all-out sprint. That may sound miniscule, however it's twice the benefit of an aero wheelset, and in a sport where a second can be the difference between the top step of the podium and no podium at all; these proportions are substantial. Through Rotor's Optimum Chainring Position (OCP) you have approximately 5 degrees of adjustment meaning you can micro adjust the position of your Q Rings to suit your style by simply making corrections toward both comfort and efficiency. Machined from 100% CNC T6 7075 Aluminum, these Q-Rings are compatible with 4 bolt road crankarms and spiders. Whether you're a powerful cyclocross racer, a strong road racer, or a focused triathlete, mounting Rotor Q-Rings to your steed is a sure step toward increased endurance, explosive sprints and graceful climbing. These rings help me alleviate knee issues, but the price-point is in the stratosphere. Bring back Biopace. Best rings on the market !! easy to install ! !